Come home and relax by stretching out on the Chaise Sectional. 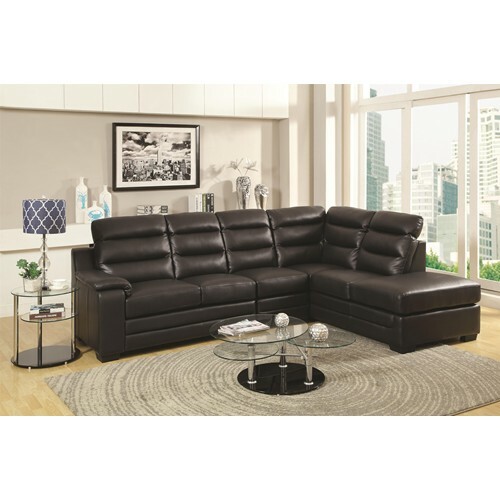 The bonded leather is soft to the touch making it easy to sit down and not want to get back up. A thick channeled back with an adjustable headrest gives support and a pillow top arm helps you find the most comfortable seat in the house. Kick your legs up along the chaise or invited others to join with with the roomy seating. The Chaise Sectional becomes the focal point in your room creating a perfect everyday environment.